I love this post! So informative, well-written and just a super fun read all around. Thanks Ali for all of the helpful advice! My blog is http://www.majortraveler.com. Can’t wait to implement all of your tips and tricks! Hi Ali! Love love love your blog and have been following you since Bachelor days. I just started a blog about a month ago. I’m using WordPress hosted via Site Ground. I went back and forth on themes sooo many times but ended up with the Bard Blog theme. I built it myself from there. What’s your blog about? I’d love to see it! I started a blog of my own because my day job wasn’t fulfilling – so BurgersandBoardingPasses.com was born! THEN….I was lucky enough to score my dream job and have been blogging and writing at ConciergePreferred.com. Unfortunately my little passion project of BBP has taken a bit of a backseat, but hopefully it inspires others! You are the best! 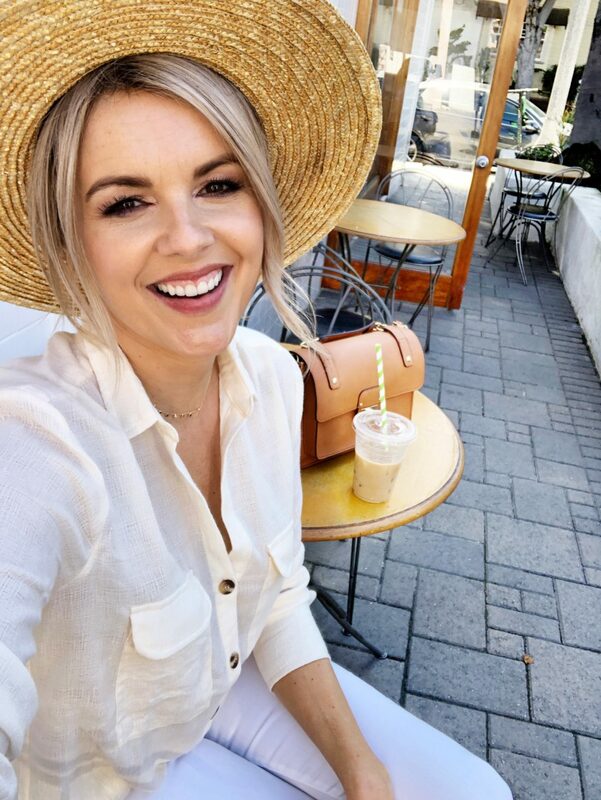 I love reading your blog and admire you so much as a fellow work from home mom! 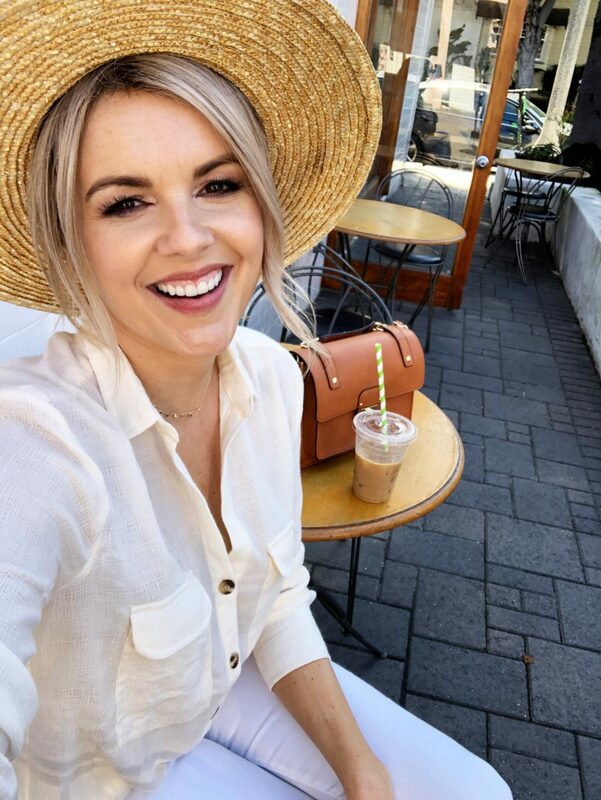 We FaceTimed a few months ago with Ashley Burns (I was the winner of her Instagram contest) and I would love for you to check out my blog as well! You have one beautiful courageous spirit, yes you do. You care for your two little babies and you care for your husband. Yes you do it all, you are a person who other mothers look up too. You look up to these mothers as well, you help each other. When you hear Riley or Molly scream waaaah, you get up to comfort them. You genuinely reassure them that everything is going to be okay. I feel like your dog Owen is like a child too, I feel like he is running on his two legs and talking to you like your children. You are one special person and everyone can see how much you love your , children and your husband dearly. You are one amazing mother and wife, we cannot wait to see more pictures and videos of your beautiful family. Don’t give up, we all believe in you and your courage. This blog post was so helpful, thank you! I struggle with photos and Instagram so I am excited to use your tips! This is such great advice! I started my own blog almost two years ago talking about being a college student and young adult and I focus on fashion, organization, and college living. I love following your blog for inspiration and keeping it real about life! Love reading your blog and hearing your tips! I definitely use Lightroom but need to check out face tune for sure. I’m a mommy blogger at http://www.mnmomma.com ! Such good information, tips/advice. I started a blog about 9 months ago and have really been struggling with knowing how to get my blog out there. So this post is extremely helpful and I’m glad you decided to share! What a great post!! I just picked my blog (projectmanagingmama.com) back up after having baby #2 and I’m excited to use these tips! That’s amazing!! I will definitely check it out! Sounds like a great blog concept! Thank you for sharing these amazing tips for starting a blog and growing a following. You have inspired me to start my own and create beautiful photos and share my story. I can’t wait to start implementing these items! Hi Ali. I love all your instastories and try to fit in reading your blog when I have the chance. Our little family of four (9-month-old twins) keep me busy but we have been trying to adventure around whenever we can. Our latest was Egypt, Jordan, and Israel for two months. and the same name for facebook and instagram as well. You’re seriously the cutest blogger! Love everything you write! Love your ig stories! Love your style. I also started out bloggging for a hobby and to get a breath of fresh air from being a stay at home mom. I would love to grow and get some advice from you! This is all very helpful information for us! Thank you!!! This is so awesome! Thank you SO much for taking the time to share these tips and support other working women/mamas ❤️. I love everything about this. I just started my blog and am still building content but am excited to continue writing posts and hopefully helping other mama’s out, as well! It’s not very impressive yet but I cannot wait to implement these tips and tricks in my blog and Instagram!! I love this! I just started my blog a couple of months ago! Talking about being pregnant with baby #2 and having a 9 month old, having almost Irish twins! Then documenting life after. One of my favorite parts is talking about this beautiful area that we live in, down the the Lowcountry of South Carolina. I y’all about local places to eat and visit. It’s so new, so that part is just building, but I love blogging & I have gotten such great feedback! I love all your advice and will start working on these things! Ali, I LUV your blog and following your beautiful family! This post has been very helpful. I would love to start a travel blog. My question feels silly…but how do bloggers actually make money from their blogs? And what kind of income is even possible? I love this post Ali thank you! I hadn’t even heard of keeping a similar asthetic on my Instagram feed but thankfully I happen to edit all my photos the same so it looks OK! My husband and I have a food blog that’s all focused on simple food and encouraging our littles (3 and 5) to be courageous with food and not picky! It’s an adventure for sure but I’d love to amp up my blog and get more followers. Your blog was honestly one of the reasons I started my own. I could relate to you in so many ways and it felt good to know that there was someone (famous like you) who was going through normal mom kind of things! Our kids are literally the same age and so I felt like I was going through this journey with you. You are not afraid to show the good and the bad which I think is what makes your blog so intriguing and inspiring. I am so thankful that you took the time to share all of this helpful information. I hope you have the time to check out our very new blog and we would love any feedback! Hey Ali! Not even a blogger, just a fan! You have such a big heart! Thank you for taking the time to write this. Rooting for ya always, girl! You’re insta and blog are my fav and this post came at a great time for me. Thank you!! I just started blogging but it’s been an awesome outlet for me. I love sharing all things mamahood, and I hope to inspire people just like you do. Thanks for these great tips! We especially need to improve our photos, so this was really helpful. When I moved across the country a couple of years ago, my sister and I started a blog called The Sister Post as a way to connect. We were both newly married and trying to navigate becoming mothers, and we realized that the stories and tips we were sharing might be helpful for other women too. Our goal is for our blog to feel like the internet equivalent of a night that starts with sweatpants and pizza and ends with spilling all your secrets. I hope you like what you see! We would love to be featured so that we can keep the party going. Your blog and insta are my fav! This post was upset informative and came at a great time for me. I just started my blog and so far I’m having a lot of fun with it. It’s been a great outlet for me – I love talking about all things mamahood and I hope to be as inspiring to others as you are! I’d love to be featured! This was incredibly helpful! Thank you for taking the time to write it all down. The Instagram part was extremely helpful and got my mind thinking a lot. Hey there, loved this post and really appreciate all the advice! Thank you for sharing your tips. This is a great and helpful post! Thanks so much for sharing your insight and experience! I appreciate hearing from someone who has gone through it and excelled like you have!!! Thank you for sharing all of your tips and tricks. I started blogging, for the first time, around this time last year. It has been so much fun!!!! Motherhood has been my biggest blessing!!! Through my blog I share my journey, with my readers in mind, so it is very informative. My following is growing, and I never expected it to turn into a job, where I can earn money. I don’t know exactly why I love your blog and pictures, but I just do. And even though our lives are very different, you and your fam make me smile everyday. Thank you for that. Thanks so much for sharing these tips. I’ve always loved your blog — I so admire your authenticity and vulnerability. Keep em’ coming! I started my own blog last year about becoming a first time mom to a blind son. We had no idea when I was pregnant that he would be born blind so my blog is all about the journey to accepting Finn for the amazing and unique little boy that he is! He is now 18 months old and I can’t imagine him being anyone other than exactly who he is! My goal with the blog is to reach other moms who are thrown for a loop with an unsuspected diagnosis — to give them a support system and help them find the positivity in it all. I’m also hoping to change some of the negative stereotypes associated with special needs. Hopefully one day I can turn this into a career as it has been so therapeutic and given me a true passion. Thanks so much for your support of all of us mamas and bloggers out there! Here’s the link to my blog and Instagram for it. Can’t wait to start using some of your tips! I am just starting out and don’t have anything but my own Instagram page that I’m trying to transform, but I’m wondering if I should start a new account fresh or continue to transform what I have. I’ve been through an abusive marriage and consequent divorce, have two small boys, and am coming up on the year anniversary of getting myself treatment for an eating disorder that almost killed me. I have learned and grown SO much over this last year.. my mindset has completely changed, I’m on a super successful path in my new career, and I’ve transitioned into who I am meant to be. I want to share it with everyone, especially those who have been in my position. I want to promote body positivity, how to reach goals, how to have self worth, etc. I cant even believe how much my life has changed for the better and I want others to experience it, too! So thank you so much for this blog post!! I just wanted to tell you how incredibly strong you are. Congratulations on your transformation. I’m sending well wishes your way and hoping for nothing but love, health & happiness in your future! Thank you for sharing your IG tips! Such a great reminder to use all the tools offered! Last month I started my “All things BRIDAL blog!” As a bridal gown consultant (and newlywed) I learned that there is SO much info in the wedding world that brides simply don’t know OR they are completely overwhelmed with! **and honestly there are not many Bridal blogs out there! I want to educate, create, and chat with ladies (past or present brides). I mean who doesn’t love wedding talk?! Hoping to one day monetize it enough to take me into retirement! Jeeez, this is a crazy amount of work!! No wonder people make a job/career out of this! Which makes me wonder… how much does one actually make doing this? And does it come in real money or more like discounts if you partner with retailers?? No blogging here, just a big fan! So happy that you have a blog and share your life! I just love you and your sweet fam!! Thank you for giving us an opportunity to share our blogs! Ali, so sweet of you to do this…and so informative and helpful. I don’t have a blog, but my friend and I just started a Podcast titled Café con Leche. It’s from Miami!! Give us a listen if you want to laugh and get to know a bit about the sunshine state. Thank you!! Good luck to everyone!!! Hey Ali! Thank you so much for all the tips. I’m only in the early stages of my blog so I don’t expect you to be super impressed (haha!) but it’s around my experiences with my mental health and motherhood. Such great tips Ali! Thank you! My blog is http://www.midwesternmama.com. Thanks for the opportunity to be featured! This is just what I needed! It’s so difficult to find real, practical (and free) advice about growing a successful blog! What attracted me to your Instagram (beyond having followed you from the Bachelorette) was your incredible feed! So, YES I want pre-sets!! Your photos are everything! Hi Ali , I enjoy your blog and your instagram as well as your segments on Hallmark. I’m a mom with grown kids and I pass a lot of your stuff on to my daughter. I recently started a blog to share my journey after I was diagnosed with the BRCA 1 gene mutation. I’m hoping it might be useful to others in a similar situation. Thanks for the advice on a successful blog. After I’m done telling my medical story I’d love to continue it in other aspects. If you read it , I hope you enjoy it. My blog is only a month old, but it’s focus is on simplifying your life so you can truly savor the good stuff. I’m passionate about ethical fashion and choose to be super intentional about companies I buy from. I feel like I just needed to start writing or I’d never take the plunge, so my process was a little backwards! I definitely need to work on a name, and add some photos! Thanks for the great advice. I also need to schedule time into my week to work solely on writing, but I’ve got three kids under 6 years old, so time is hard to come by! Your blog inspires me everyday- you are such an honest, true, and beautiful mama! It’s funny because I just had a conversation with my mom about how I need to learn from other bloggers on how to make mine successful, i’m so glad I came across this and am excited to use these tips myself! Thanks for sharing! I appreciate all of the tips and tricks. I love your blog/instagram. Molly is just a little ray of sunshine! Y’all are just the cutest. You do such a wonderful job connecting with your readers. I admire that! I just got started blogging. I’m loving the creative outlet it’s given me! Thank you for the opportunity to help spread the word! This is so great!! I love your blog and keeping up with you and your adorable fam! I literally just started my blog. I wanted an outlet where I can write about mommy hood and fashion because I also own a boutique! Loved this post! The tips were very helpful. I’ve been blogging on and off for the last 18 months. The off has been due to some health issues. Since they weren’t going away, I decided to jump back anyway to make me happy. I’m in the process of branching out from my original mom life musings to other aspects of my working mom life. Thank you for keeping working mom life relatable! This is so great!! Thank you for taking the time to write about this! I started my blog during maternity leave to help combat PPD and have a creative outlet. I also use it as a journal where I write letters to my daughter. I think having a Lightroom preset would be great! I spend so much time using Color Story to tweak pictures and I’ve bought a bunch of presets from Lightroom but change my mind. I like color in my feed. LOL. How many pieces of writing should you have before you go live? How long should a blog post be? Thanks! Thank you for the great informative post. I adored you on The Bachelor and Bachelorette. I have always wanted to start a blog. I am a nurse, I have 7 children, 4 of the children are adopted. Everyone is 19 years old and older. We have had a crazy fun abnormal life, the funniest scenarios have occurred. We also love fashion, makeup, animals and travel. We are also multicultural family. I have so many random ideas and situations to share. I have a large Twitter account over 1500,( Cinderella) the account is a Britney Spears, pop music driven account. My question to you is, do you think theres an audience for crazy, chaotic family life blog, that includes love for Britney , life as a nurse, mother, traveler and love for fashion too? Hi Ali! My favorite part about this post of yours is where you touch on having something to say. Everyone’s voice is different! If you get a chance to read any of my stuff, thanks in advance for your time! Forget everything you’ve worked toward for more than a decade. Leave it behind and love these five people. Lot’s of people blog when they drop everything and travel. Or, perhaps they started a new business. Some people blog about sports, or their favorite fashion trends and TV shows. I started writing to keep my old life alive in my new one. Now, what do I mean by that? At 26, I was loving my corporate marketing communications gig, living alone in my adorable one-bedroom and catching planes to the mountains regularly to hit the slopes with friends. My life took a crazy turn when I started dating my now husband, a widower and father of four. I put my career and my MBA on hold to place Matt, Jack, Rachel, Tom and Sam at the forefront of my world. Today, as a full time wife and mom, I’m writing about my new life – keeping an original passion still ever so present. Everything changed quickly, but it’s definitely still a time of transition. There are so many new experiences that come with the choices I’ve made in the past two years. This blog is a collection of them. Please please please make your own presets, Ali!!! That would seriously be a dream come true!!! Thank you so much for sharing! I especially found the “keep instagram happy” informative and helpful! I look forward to implementing these to my own blog. I just started out and launched mine in February. I’ve already met some bloggers near my area and the community alone is worth it! My blog is Motherly + Confident. I started it in order to focus on self love and happiness. Being a mom is hard and losing yourself as an individual is easy. I want to be an advocate for other moms and people in general to work on self care and remember that they are the most important person in their lives. “You cannot pour from an empty cup”. We must be happy to be the best moms we can be. Please, check out my website and I look forward to using your tips. Also, presets of yours would be amazing. I absolutely love your feed! I started a blog a couple years ago and have only just started to find my niche. Found this post super helpful. Thanks for the helpful tips! I really want to get a good following on my blog and on Instagram. I am going to work hard on creating a space that people will love! I would love for you to take a look! Ali, hi and happy day! and I’d love to know how to sync it with the GRAM, as well as building a space which is interesting and helpful to readers. Thanks kindly for all you are doing for women – it’s very refreshing to see how your heart is genuine and filled with such joy. The positive vibes are contagious and it feels like we are “girls next door”— hanging out, enjoying life together. Very happy to be following your journey. Hi Ali, thank you for this blog post it really helps to point me in the right direction! I luv your blog!! I love the photos & your content. At one point, I had 3 kids under the age of 4, so I know how busy you are! Thanks for continuing to share! What a sweet, kind gesture! Whether or not my blog is chosen for you to feature (but I hope it is:) I’ve learned a lot of valuable tips from this post! Thank you for taking the time to share your knowledge and experience. My blog, Transplanted Gal, is all about moving from the bustling DFW Metroplex where we lived a fairly ordinary, generic existence, to the piney woods of East Texas, where we bought a house on STILTS and opened a B&B! My blog is a brand spankin newborn blog! Mostly home decor! Love love love these tips! My blog is http://www.Mamadeets.com! Even if you don’t feature it, I would love for you to check it out! 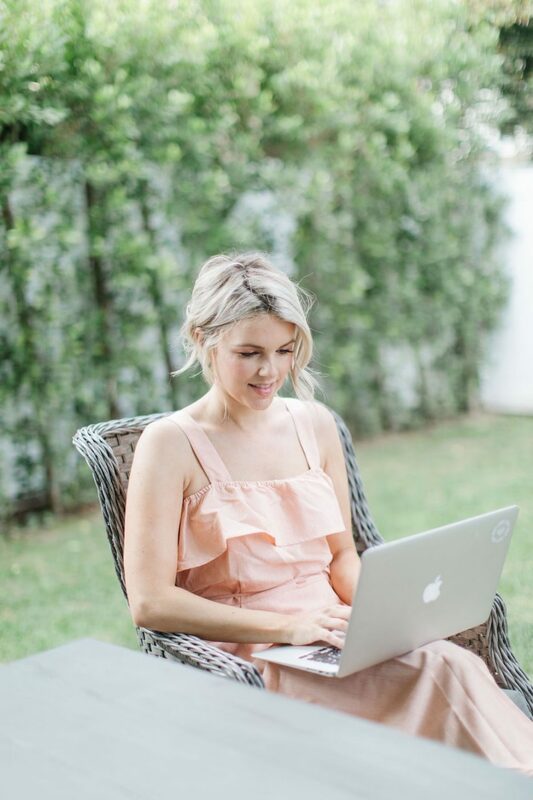 I love following your insta (my daughter Brynn is about the same age as Molly) and yours is the only blog I follow…I love that you’ve directed it more towards helping others! That’s what my blog/site is all about. I have chronic Lyme disease (14 years) – Lyme is the fastest growing disease in the world, yet many know very little about it and I’ve made it my mission to use my hardships to educate as many as I can. (I’ve even had people tell me they finally got to a doctor and received a diagnosis & help because of my blog, which means everything!) I have a full time job as an Event Director too – so I have very little time to keep my blog going, and I’ve learned how to do it all on my own, but it’s super important to me to keep it going. I have a long ways to go and could learn a lot from you! 🙂 Anyway, sorry for the long post…here’s my site – thanks for checking it out if you get the time! Thanks for sharing your wisdom with us! This post was so thorough. I love when things are detailed! Love this post! I’m working on growing my blog and it’s great to hear from others who have had success with it! I totally agree with following other bloggers with the same body type for sanity! Two of the big reasons I follow you are: 1. We have (used to) the same body type (post partum is taking it’s time with me =) ), and 2. Love your family content! So true about planning your content in advance. So many friends START a blog and then stop or have months between posts. Btw readers who need help with SquareSpace, our company http://www.OneBiteCreative.com is SquareSpace certified and we’ve helped lots of people with the general setup, video content, images and then tutor them so the can do it on their own after. A lot of times the upfront creation is daunting. We get it! Thank you so much for the tips and tricks. I appreciate all the work you put into your posts. It’s hard running a blog, working full-time and being a mom! What a great post. Thanks for sharing. I’ve had a cooking blog for years; and have just recently started to transfer and update new recipes to a new squarespace website! My blog is all about baking and cooking, with a section filled with delicious matcha recipes. Hey Ali, I love keeping up with your blog. Thanks for the post and all the suggestions on how to get our own going! So I am still working on the blog aspect (it takes a lot more time than I realized to put together aesthetics and content and whatnot). But I plan on publishing it in the next two weeks. Have the URL, it’s coming soon! I decided to go for it because after having my almost one year old (what?! ), the first month of postpartum I felt extreme mom guilt and felt really alone because no one talked about it. I felt like a stranger to my baby – I was not overly in love like everyone talks about. It was not love at first sight. It took time but I felt so guilty. The only way I survived is because of my husband but also other women reaching out being in the trenches with me. It made me want to reach out to every friend starting this journey to let them not feel alone so then I had the idea to take it to a larger scale. Even if it’s just one women – being someone that is encouraging but also walking through the trenches with them. Because not everyone has a community of moms surrounding them and I never want them to feel alone in this hard journey of motherhood. Hi Ali! I’m Megan! I’m thinking of starting my own blog, I love your blog and following you and your family! Thank you for sharing! I had a question for you about your recipes. Are they your own recipes or are they just recipes that you like? And where do you find them? I have been following you for the last couple of years and I love your blog. It is so uplifting but genuine, real and honest which is what I aspire to be as well. I am in my mid-40’s but decided to take a chance on a passion project that I knew would allow me to write again, something I love, while learning about the world of blogging and sharing my experiences as a working mom of teens. I truly love it and would be thrilled if you would check out my blog. You are amazing and this post was so incredibly helpful! Thanks again! Thank you for the tips Ali! I’ve been blogging for almost four years now but always appreciate tips from someone so successful! My blog is adisneyobsession.com so for any of the Disney lovers out there I’ve got tons of posts for you! Such great advice!! Read it all, THANK YOU! Thank you so much for this. I have been thinking about starting a bog but did not know where to start. You are informative and as always give great tips. When I finally get mine together, I will run it by you. I always read everything your print because you give great advise from dating to baby needs. 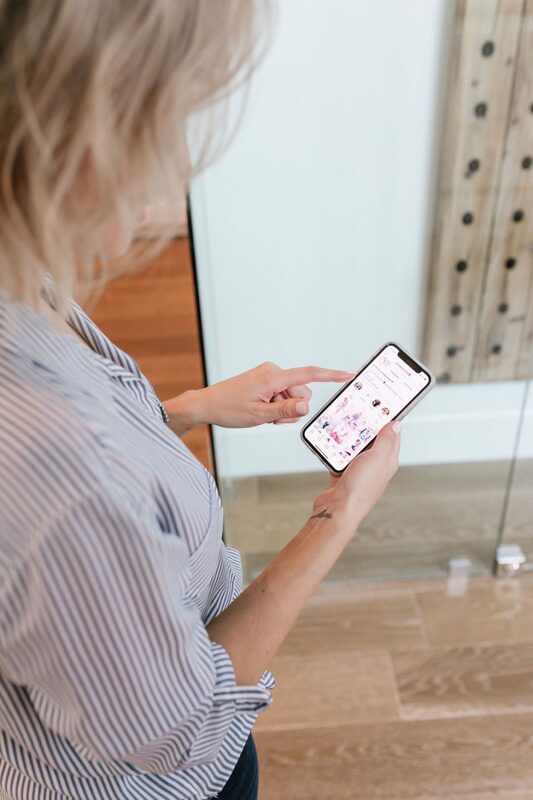 Wow, this post was super helpful a I started blogging personally two months ago and am trying to post 1-2 posts a week and am really working to craft my brand on Instagram. I hope you will check out my blog and knee up the great work you have been super inspiring Ali! As a Mom of two I really identify with your parenting wins and woes! Thank you for this post I just launched my blog this week, so this was just what I needed. I have a couple of posts up but plan to add more this weekend. And you definitely are successful at making Instagram happy. I appreciate your kind, genuine heart! Great post! My blog is about up/levelling family life and not settling for anything less than great. I would love for you to check it out! Awesome post and thank you for sharing your knowledge and experience! Love this post thanks for the advice! Thanks so much for sharing and for always being so authentic and vulnerable in your blog. I recently started my own blog about becoming a first time mom to a blind son, Finn. We had no idea when I was pregnant that he would be born blind so the blog is all about our journey to accepting Finn for exactly who he is and was meant to be! My goal is to reach other moms who are thrown for a loop with an unexpected diagnosis. Check it out here and thanks again! Oh, Ali how we love and admire you and all you have done! We are a start up new modern motherhood/bestie blog about style, home, family, etc.. Two middle age moms trying to survive this crazy wild world! We thank you from the bottom of our tired hearts 🥰 for your tips. What a great blog post. I love finding people in the digital community who create content to lift others up. I just discovered your blog and it’s beautiful and so genuine! Hi Ali, I love how you are so transparent in both your personal and work. And I’m so glad you wrote about this. I have been struggling to grow my following on both my blog and Instagram. So, I am going to implement everything you’ve mentioned. Great tips! I agree with the point that you can get inspiration from a variety of people and everyone has that thing they’re known for! Thanks for sharing! Hi Ali, this is such a great topic for a post. I’ve been reading your blog for several years now and it’s one of the two blogs I obsessively check every morning for new posts. I like the easy, light, breezy content and your enthusiastic and positive attitude, which comes with lots of exclamation marks, and your down-to-earth tone. The blog name comes from having recently changed my alien visa status to an American citizen status. I started this blog to document my own 20-year immigration journey and to post interviews of other immigrants about their immigration journeys, including from Americans who remember their ancestral roots from Europe, etc. But since I had my first baby last year, my blog turned into a mommy blog. I’d be happy to learn of your and Kevin’s ancestral roots (German? Irish?) and feature you on my blog one day. At this time of turbulent political climate, it’s important to remember we are all immigrants to this land, unless you identify mostly as a Native American. I started my blog a few months ago after having my miracle rainbow baby boy in June last year. We struggled with infertility for almost 5 years, did IVF, miscarried and got our miracle rainbow baby almost exactly a year later. It’s all about my journey and also starting to share how to meal prep and make baby food because I love it! Ali!! So awesome of you to support other ladies and mamas with blogs! Thank you so much for taking the time to write this post! I also love how real you are with your social media—honestly means so much as a first time mom to see other mamas not acting so perfect all the time! This is so helpful! I’ve been at this for 18 months and haven’t done any collaborations with other bloggers, but you’ve convinced me about how fun and valuable it can be! Thank you!! My blog is http://www.abbysavvy.com. Thank you for such a great list of tips for the mommy blogger! :))) I’ve been “blogging” for just about 2 years and still feel like I’m learning more every day! This started as a way to share our story but had grown into so much more! It’s community, it’s creativity, its helping support our family and I just love it! Thank you so much Ali!! This is really helpful! I have been trying to build up my following and now I have some great tips! I can’t thank you enough!! Awesome post, Ali! I follow most of the other inspirational ladies you mention in your post and I agree that it’s so important to find people to connect with on similar paths as you! I appreciate you for your positive spirit and honesty in motherhood, womanhood and everything related! Onto my bog…I started it a few months ago to have a space to hone my writing skills. I’ve written my first book (my memoir, written in the form of letters to my best friend, who disappeared while hiking with her boyfriend almost 9 years ago) and plan to write more! I haven’t decided what I want from my blog, but I want for my readers to get to know me and the things that I love! Please check it out and I hope that even though I’m far down in the comments, you consider my blog for a feature. I LOVE this post and LOVE the idea of you featuring bloggers! I’ve been reading your blog for a couple years now and just love how real and positive your blogs are. I started with WordPress and Blue Host and I’ve been posting every Tues & Fri steadily and should be able to continue with my planned content. It’s been fun and so rewarding seeing a hobby come to life. Even if I feel like I’m only writing for myself at the time, it’s still been a fun creative outlet that I hope to continue! Also, maybe as a way to support and uplift all the lovely blogger ladies that are commenting, maybe we can all read each other’s comments and follow each other! I love your blog, Ali! I have been following it for a few years now, love the clothes and your family is adorable! My friend and I started a blog almost 2 years ago – we review gyms , fitness studios, wellness activities , and workout clothes, etc. We are called Workout Wanderers (www.WorkoutWanderers.com). I loved getting these blog tips from you! We are still trying to grow our blog and get more followers. We try to have a sense of humor and we are just your average girls reviewing local places – we are no fitness models . Check our blog out, that would be SO amazing to be featured on your blog! 🙌🏻🙌🏻 Thank you for always being so honest and relatable! Thank you for this, you always have such great blogs, but I wonder now you get paid doing it? I know you said this is turn earn some extra income so how does that work? Thank you. This is a great post. Very informative! “Keep Instagram Happy.” I have never looked at it that way, but you are so right. Thank you for sharing. Love these tips and tricks!! Thanks so much for sharing. Check out my vegan lifestyle blog which is about how to live a life of kindness! Whether you’re a full time vegan or just looking to try out some plant based recipes, I try to share a bit of everything! Awesome tips 🙂 not sure if I’m too late, but here’s my blog! Thank you for all of the great information on blogging. So great of you to be so open and share! Thanks for pouring your heart into this post to help bloggers like myself with tips and tricks! I am a new blogger but have always enjoyed pouring my heart into writing. Its therapeutic for me and as a mother to 4 keeps me sane! My latest blog posted a few days ago is all about our RV reno my husband and I just did and preparing for our biggest adventure yet! Thanks for the support Ali! Thanks for all of your great content! This was so helpful! Thank you! I’ve been pouring years into building my blog and it can be discouraging to invest so much with little return. Appreciate your insight! Thanks for this post. So useful! I am a new subscriber and a new follower on Instagram! My website is thismillennialwoman.com. I started this first to be able to talk about changes to immigration in the U.S. I am an immigrant myself. But I later expanded it to share my perspective on motherhood (I recently quit my job to be a full time stay at home mom), my life as a woman and my marriage. I’m also interested in commenting on some political news from as unbiased of a perspective as I can. I think it’ll be interesting content to make a platform to allow people to logically look at current issues outside of their biases and just consider the simple fact of the matter. Hi Ali! I love your energy and the idea of supporting other bloggers & entrepreneurs. That’s very cool of you! I support ‘4th Trimester’ Moms to feel their best by providing in-home services, phone coaching, and comic relief through blogging because parenting is stressful but we have to remember to laugh. New moms tend to neglect their own well-being after having the baby, and I’m on a mission to help fix that! Love all of your tips and tricks! I have been working on most of these since I started my blog in December. Now if you could tell me how you manage to find the time in the day to write as well as have a life, that seems to be my struggle! Thank you so much for sharing all of this information!! It is really helpful and I always appreciate when people give actual good advice 🙂 I started my blog on maternity leave with my third little girl! Thanks so much for taking a look at it, you truly are inspiring! Thank you for this article! I am starting from scratch. I do post on Instagram but I don’t feel 100% comfortable with Instagram. Any ideas for a crash course on Instagram. I really really want to start a blog. Thanks Ali and thank you for being so real! I would LOVE a preset for photos. Not sure how they really work, but would definitely buy yours if you made one! Thanks for the great post. I’m always trying to learn how I can reach and help more people. I am a Nurse and Health Coach dedicated to helping families live a healthier life using holistically minded practices, in hopes of preventing the chronic diseases of our time. Love all of these tips! Can’t wait to start incorporating them. Just started my blog this week. Would love if you got a chance to take a look at it!